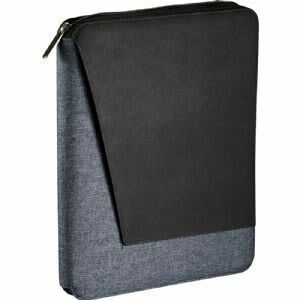 Modern and stylish padfolio, great for the busy execs on the go. 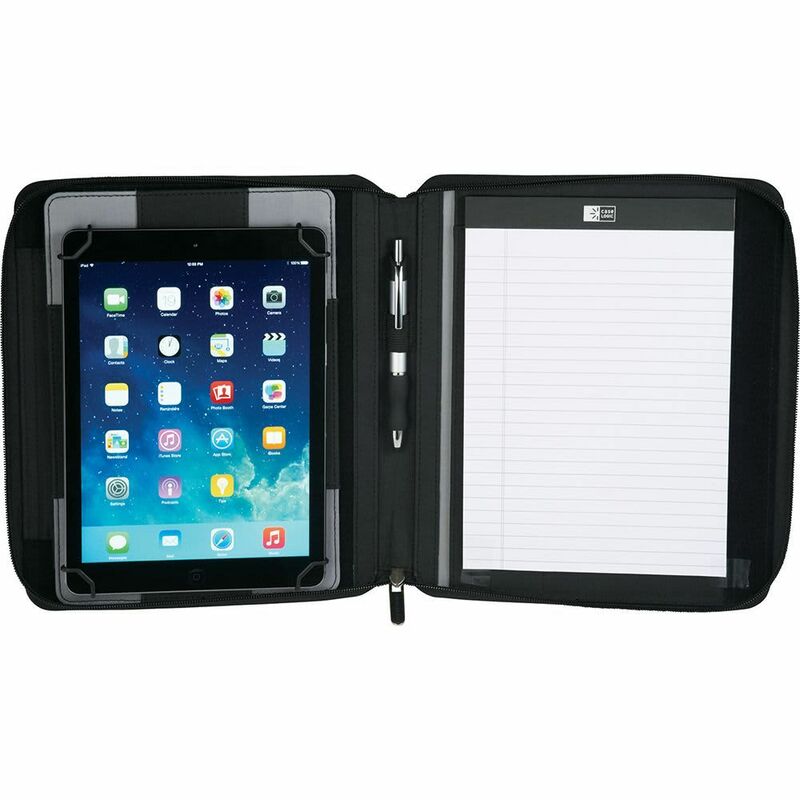 Includes a zippered closure so keep contents secure and a front cover pocket for additional storage. 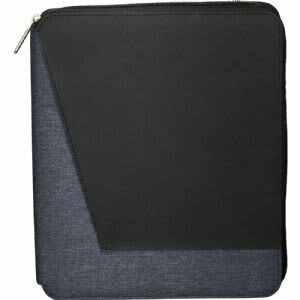 The elastic brackets hold most 7 inch & 10 inch tablet models including all versions of the iPad including the iPad Air and Galaxy. The rotating design allows for use in both portrait and landscape modes. The tablet stand also has hook and loop connectors that provides flexible angle options. 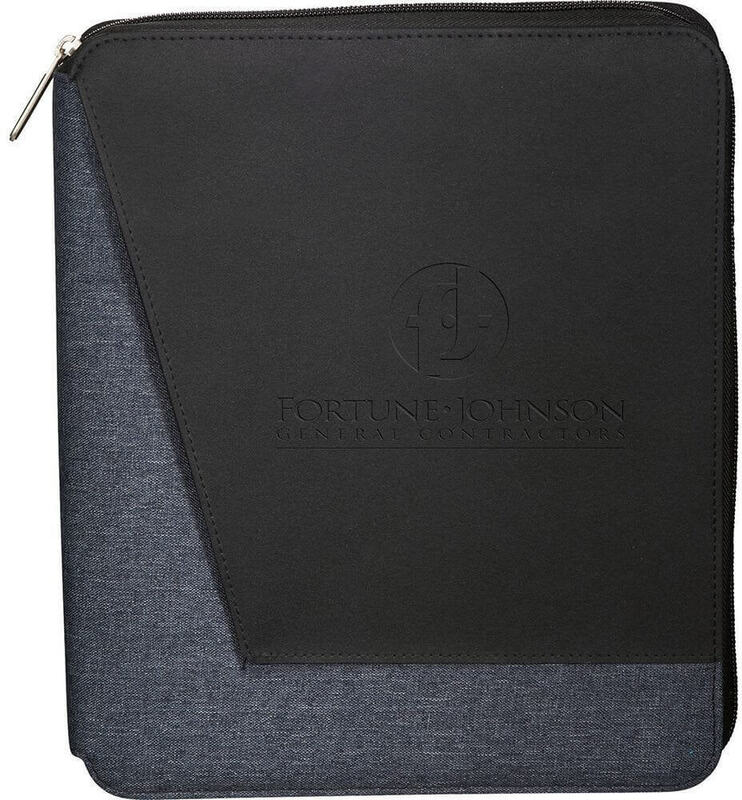 Features an elastic pen loop and two business card pockets. Includes a 30 sheet writing pad. 3-4 weeks after artwork approval.